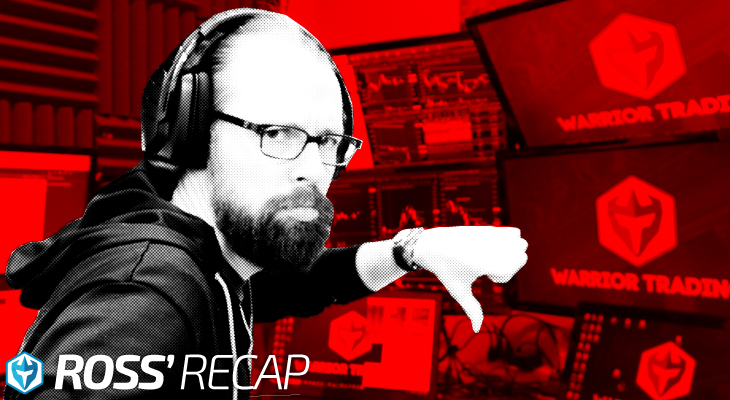 Red Day Recap on Feb 1st! What’s up everyone? Alright, so just like the start of January, I’m starting February 1st with a red day. Two red days in a row! That means Friday, I need to get super focused on just being disciplined. I had three trades today that, I was up on all of them, but I didn’t sell because we’ve been in this market where we keep seeing really big moves. So, selling for 15 cents hasn’t been worth it. It’s been better to hold for a 30 or 40 cent winner. But, today I would have been better off taking profit on all of them at 10 cents because they ended up turning into losers. So Friday, I’m hoping we can finish the week with a couple good trades. Start to rebuild confidence a little bit. Get a couple 10, 15 cent winners and then, you know what, if we see stocks that are really sustaining their levels and they pull back and they continue for a second leg-up, that’s when I’ll start being aggressive. Today we kept seeing stocks pop up and come right back down. So, if I jumped in thinking it’d continue, it just wasn’t happening. So, we’re going to break it down in today’s midday market recap. And as always, if you guys have questions, put them in the comments below. I’ll come back and answer them later. 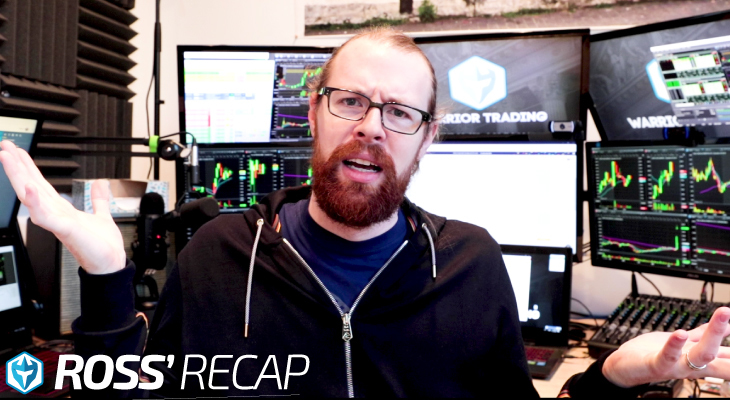 Alright, so we’re going to do a little midday market recap, go over the trades from today. So, as you can see here today is a second in a row red-day recap, which is never how I like to start a month. But, it is what it is. So, starting here down $7,381 for the first day of February. Not that much different from the first day of January. Starting in the red. Of course I was able to make my way back out of the red and finish the month of January with $117,000 profit. So, that’s all good, but today is definitely a little bit disappointing. So, what’s probably most frustrating is, I’m red on the three stocks I traded. So, it’s just basically zero for zero. That type of accuracy can definitely get a little bit frustrating. 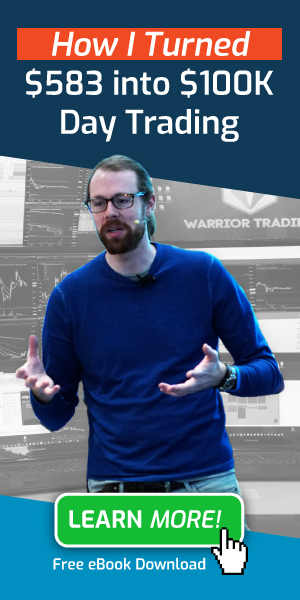 It’s one of the things I talk about is how nice it is to get on a hot streak, because when you start trading at 70-75% accuracy you start to gain a lot of confidence. When you’re trading at … Today I took four traded and I only made money on one of them. So my accuracy is 25%. It can start to get a little bit frustrating at a certain point. Like, this is getting, you know, ridiculous. My accuracy is really poor. So, let’s look at the trades from this morning. Very first trade was on DCIX. This was a gap and go setup. It was a lot like CONE yesterday and I was a little nervous about it because it was opening on this big … The last candle pre-market was a big red candle. And so I got in this for the break over … Anticipating a break over the half-dollar long at 3.50. 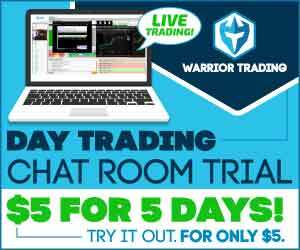 It pops up and taps 3.69, you know that is $1900 profit with 10,000 shares. I didn’t take the profit. I held it and it ended up coming back down here and I stopped out on the third or second candle of the day at 3.39 and 3.40 for a $1700 loss. So, very first trade two minutes into the day, I’m red 1700 bucks. This did not hold the gains at all. You can see it just rolled over. So, bad start to the day. OPGN was also on our gap scanner this morning and look at what happened. It opened and just tanked and it didn’t look back. So, this one we didn’t take a trade on. BURG was called out in the chatroom at 4.10. I thought it looked interesting so I jumped in it. I got a little slippage and got filled at 4.20. It popped up to a high of 4.50. I had an order ready to add at the half-dollar. And then it came … Look at this. It dropped all the way back down to 3.57. That’s a very nasty move. I mean it squeezed up 40 cents and then dropped a dollar. So, this was disappointing and that got me for a good $4600 loss and put me down 6500 on the day. That was the one that got me pretty good. You know, I got a little slippage on my entry getting a 4.20 average. Again I was up about $3000 on the ask and I was prepared to add for a break over 4.50. Target was that we would maybe get up towards $5. $5.14 was the daily resistance and traders just didn’t seem interested in this. We didn’t get follow through. We didn’t even get a proper one minute pull-back before it rolled over hard. So, at that point I was very much red on the day. Last trade, I say if I have three losses in a row, I’m done. So, that was my second loss. Third trade was BSPM, I got in this at 43 with 10,000 shares. It spiked up to a high of 75, again that’s about $3000 profit. I ended up selling it as it came back down for $1500 profit. So, that put me down about 4800 on the day. I recovered some of the loss. And then I got back in right here at 55 and 56. Let’s see, 53, 49 and whatever, 55, 58. It popped up to a high of 70. I wanted to see it break over high of day. Back in my mind target was four dollars. And it rejected that. I stopped out and this candles had dropped down. Stopping out at 33. And so, I gave back the 1500 I made and then I’m, you know, another thousand on top of it. So, it puts me red on the three stocks I traded today. And, you know that’s a little bit frustrating. Not even as … and I didn’t take any trades in the IRA, so that’s good. But, more than the dollar amount that’s frustrating, it’s more the just kind of annoyance that we weren’t seeing good follow through today. That three out of my four trades just kinda got slammed right back down. 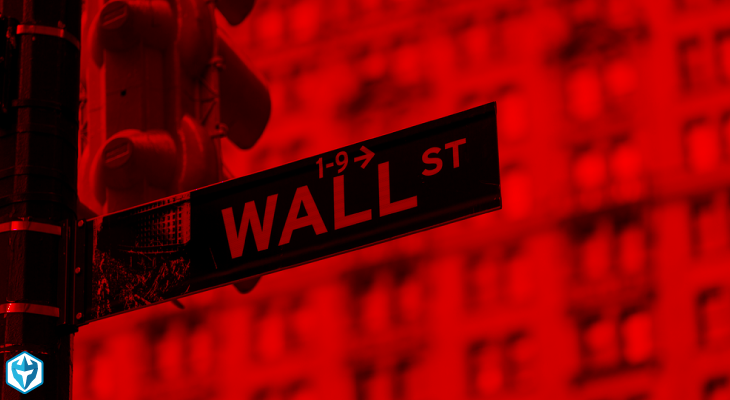 So, we saw … I mean a lot of these stocks, you can see here highest volume of the day is red candles. BURG, highest volume of the day is on red candles. Let’s see, what was a couple others. OHGI popped up … OHGI, this one popped up, got slammed back down. I didn’t take any trades on it. KTOV had news. Popped up, came all the way back down. OXBR popped up, came all the way back down. So, this is the type of trading that we saw today, unfortunately. Definitely not an easy day in the market. A day that I’m giving back a little bit of profit and you know at the same time it’s just reminding myself to take a breath. It’s not a big deal, it’s a little bit of a draw down, but relatively speaking it’s really not that big of a deal. It’s a pretty small amount. The $7000, you know I’m still green on the week. This gives back … Let’s see, on Monday I was at … Yeah, Tuesday I made 13 grand. So these last two red days … In the last three days I’m still net positive by, like 1200 bucks. I’m still up like $10,000 on the week. So, put her in perspective, it’s … yeah, these are big numbers because I trade with big size, but it’s really not that big of a deal. I will bounce back. Whether it’s tomorrow or it’s next week, I will definitely bounce back and I will get myself back into the green and will end up having some really, I’m sure great days of trading come next week. So, yeah, today’s just a little bit disappointing. Mostly that the accuracy wasn’t there and I don’t know. We just didn’t see as much momentum in the market today. Not a lot of follow through. We saw initial spikes, but then they came right back down. We didn’t see follow through where it continued into a secondary move. BSPM was the closest to doing that on this first candle to make a new high here. But, even then it couldn’t break over the highs. And so it rolled over. So, you know that’s kinda where we’re at here for today. I’m done trading now. I wouldn’t keep trading, so throwing in the towel and I’ll be back at it first thing tomorrow morning. Hopefully we see some good opportunities. We can finish up the week on a green note. Take a couple decent trades and just go into the weekend feeling good and, you know, put a little distance between me and the red days. So, that’s about it for me today. 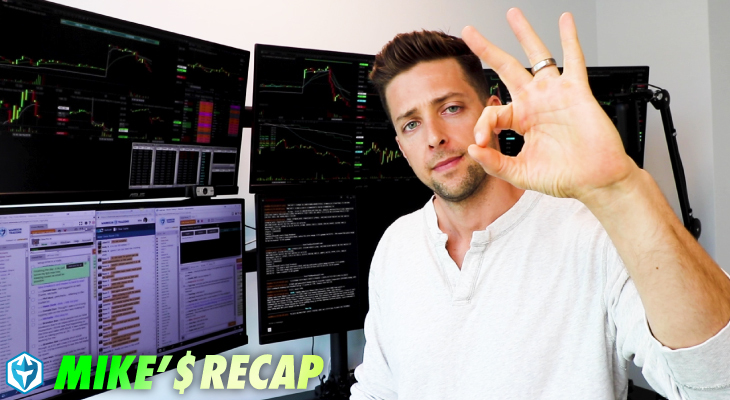 I will see you guys back here tomorrow morning, nine AM, nine-fifteen for pre market analysis and hopefully we have a good watch list that will help us find a couple trades to finish the week strong. LTBR, that was another one, right outta the gates. Just not … We just not seeing good follow-though. Almost all of the gappers ended up fading today. Just the type of market we were in today. A little bit of a momentary pause, but we really … I need to be a little quicker, maybe to pull back on my share size so I don’t give back too much profit during a choppy market. I think I gave back a little more today than I needed to. BURG was tough because I really wasn’t expecting it to go from 4.57 all the way down to 3.74. I just didn’t expect that type of drop. So, now that we’re starting to see that, it is going to force me to be a little bit more careful. It’s no different than a short seller who’s like, “Whoa, I wasn’t expecting to see a stock all of the sudden squeeze up 150%.” It catches you off guard and it could create a loss. So, same way for me just opposite direction. I’m not expecting to see these level of pull-back. If this is going to become a regular thing, I definitely need to make an adjustment and scale back. But, you know if it’s just a couple of slow days, choppy days and things get back to normal then that’ll be fine. The most important thing, really will be seeing stocks make the second leg-up. So, you got the first spike, whatever. Second leg-up is what we want to see continuation. Once we’ve start seeing good continuation again, that’s when I’m going to feel more confident jumping in on the first leg and then adding on the second move. Right now, jumping in on the first leg, you know today is kinda crushing me because there is no second leg and the first leg immediately gets retraced. So, boom, I’m right into the red. So, second leg-up, that’s what we’re looking for. In a strong market, yeah it’s okay to jump in really quick on the first spike knowing that that pull back will probably get bought up and you will have a second move. But probably tomorrow, I should just wait for buying the second leg. Which on BSPM wold mean I wouldn’t have taken the first trade. I would have just gotten in here on the second trade. My average … You know I was averaged at 3.56. So, I was in a little too high. I probably should just try to buy a little faster. But, again this is below VWAP, which Is not usually where I want to be a buyer. So that was kind of a … I wasn’t really sure it was going to work until it broke over the half dollar. But in any case, first pullback is probably the spot to watch for tomorrow. Alright, so that’s the game plan. I always feel better when I put together a little bit of game plan. Having a loss is a bummer, but what’s the solution? What’s the game plan? How are we going to fix this? Tomorrow focused on buying the first pullback, rather than getting in on the initial spike. So, that’s the game plan tomorrow. Stock hits the high day MOMO scanner, that’s great, let it pull back, wait for that first pullback and then, boom, jump in. We see a good second leg-up, that’s when I’ll start being more aggressive, second leg, third leg, continuation. If it continues to be choppy then I’m going to … You know, I’m just gong to play it safe and go easy. Alright, so that’s it for me and I’ll see all of you back here, first thing tomorrow morning for pre-market analysis around nine AM. If you’re still watching, you must of really enjoyed that video. So why not subscribe and get email alerts any time I upload new content. 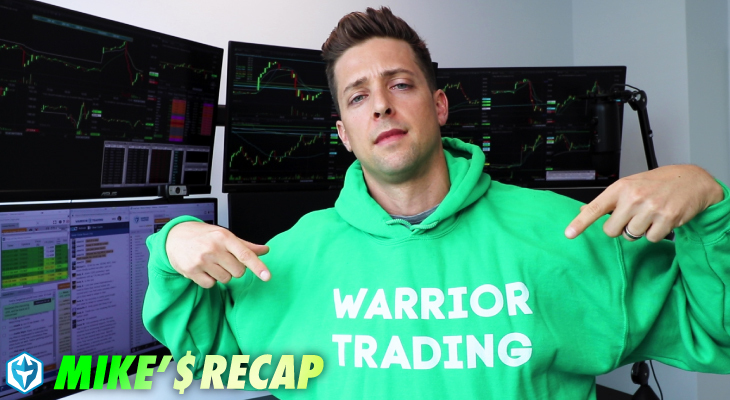 Remember when you subscribe, you become a member of the Warrior Trading family.